Ordering air samples during a Home inspection is important for several reasons. 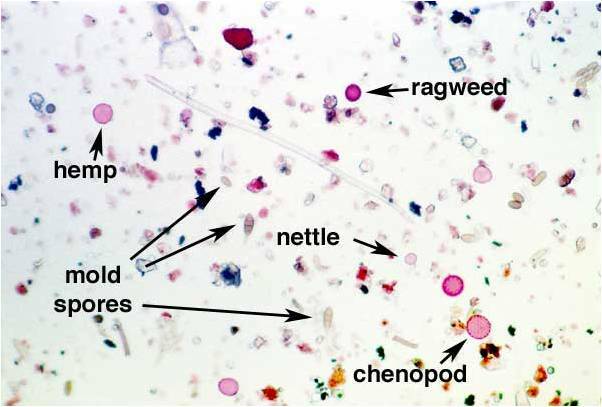 Mold spores are not visible to the naked eye, however the types of mold present can often be determined through laboratory analysis of the air samples. 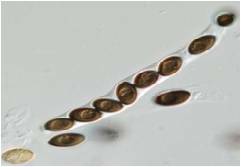 Having samples analyzed can also help provide evidence of the scope and severity of any mold problem, as well as aid in assessing human exposure to mold spores. Air Samples are generally recommended if visual, non-invasive examination reveals apparent mold growth or conditions that could lead to growth, such as moisture intrusion or water damage. Musty odors can also be a sign of mold growth. If no sign of mold or potential for mold is apparent, Home buyers may still want to order one or two indoor air samples in the most lived-in room of the house and at the HVAC unit or Air ducts as a safety precaution or just Peace of Mind. Our basic Air Quality sampling for Mold includes one outdoor air sample and one Interior sample. An outdoor sample is taken as a control for comparison to indoor samples. Ideally Two Outside samples — one from the windward side and one from the leeward side of the house — will help provide a more complete picture of what is in the air that may be entering the house through windows and doors at times when they are open. The second outdoor sample is optional and at an additional cost. 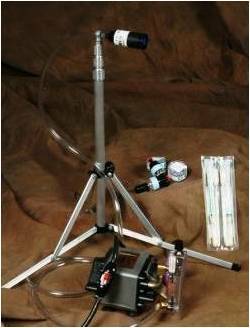 The General Air sampling package includes one interior sample. We recommend the primary living area where most of the family gathers. If any other areas of a house is suspected or confirmed to have mold growth, air samples can be taken to help verify and gather more information. Moisture intrusion, water damage, musty odors, apparent mold growth, or conditions conducive to mold growth are all common reasons to gather an air sample. Samples are taken near the center of the room, with the collection device positioned 3 to 6 feet off the ground. Sampling is recommended to take place in livable spaces within the house under closed conditions in order to help stabilize the air and allow for reproducibility of the sampling and measurement. While the sample is being collected, we ask that windows and exterior doors be kept shut other than for normal entry and exit from the home. Weather conditions can be an important factor in gathering accurate data. Severe thunderstorms or unusually high winds can affect the sampling and analysis results. High winds or rapid changes in barometric pressure increase the difference in air pressure between the interior and exterior, which can increase the variability of airborne mold-spore concentration. Large differences in air pressure between the interior and exterior can cause more airborne spores to be sucked inside, skewing the results of the sample. In the event the above conditions exist, we will reschedule the air sampling for another day. Ordering Air samples is a good start, however sometimes an air sample alone is not enough to confirm or refute the existence of a problem, and such testing needs to be accompanied by a visual inspection and other methods of data collection, such as a surface sample. Air samples are good for use as a background screen to ensure that there is not a large source of mold not yet found somewhere in a home. This is because they can detect long chains of spores that are still intact. These chains normally break apart quickly as they travel through the air, so a sample that reveals intact chains can indicate that there is mold nearby, possibly undiscovered during other tests and visual examination. In summary, when taken under controlled conditions and properly analyzed, air samples for mold are helpful in comparing relative particle levels between a problem and a control area. They can also be crucial for comparing particle levels and air quality in an area before and after mold remediation. In the future, Surface sampling and both Limited and Full Mold Inspections will be offered, however not available at this time. Please note that our Air Quality evaluation is for Mold and other airborne contaminates and not an Allergy or Allergen evaluation. Our basic Air Sampling package as an “Add-On” to your full home inspection is offered at $150 which includes a Limited Mold Inspection and for two air samples (1 indoors & 1 outdoors) with lab analysis by EMSL Analytical, Inc. ($195 without a Full Home Inspection when available). Additional air samples or surface samples are available at $65 each. One additional sample is recommended per 1000 sq. ft or in special areas of concern. The lab reports are separate from the Home Inspection report and takes an additional 24 to 72 hours to receive the lab reports from drop off.